The ITER Organization is an intergovernmental organization that was established by an international agreement signed in 2006. The Parties to the ITER Agreement (the ITER Members) are the People's Republic of China; the European Atomic Energy Community (Euratom); the Republic of India; Japan; the Republic of Korea; the Russian Federation; and the United States of America. The purpose of the ITER Organization is to provide for and promote cooperation among its Members for the benefit of the ITER Project, an international collaboration to demonstrate the scientific and technological feasibility of fusion energy for peaceful purposes. The ITER Organization is staffed by men and women from the seven ITER Members. Approximately 850 directly employed staff and 500 external contractors work for the ITER Project in Saint Paul-lez-Durance, France. The ITER Organization has been led since March 2015 by Director-General Bernard Bigot, from France. More information on the legal status of the ITER Organization can be found in Legal Resources. Download the organigramme of the ITER Organization ici. 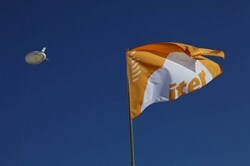 Download the ITER Project organigramme.